Synthetic exam gloves that protect the hands and mid-forearm from hazardous materials or fluids is crucial to keeping yourself safe from contiminants. Cardinal Health's InstaGard Synthetic Exam Gloves are able to protect the hands while working in a hospital, home health care facility or any other job site. InstaGard is made with polyvinyl chloride, or PVC, and works well with low-risk clinical duties. The glove has a smooth finish with a beaded cuff, making it easy to put on without the worry of having the glove roll up the hand. 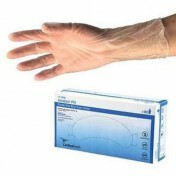 The clear-colored exam glove can fit on either hand, making it flexible for a fast-paced working environment. The nine-inch glove easily fits over the hand and down the wrist. 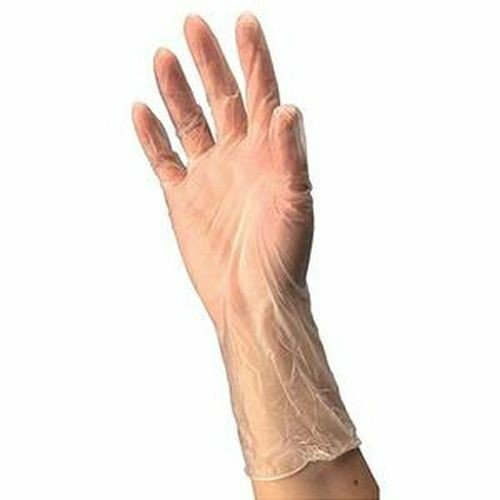 The glove is also latex and powder free.